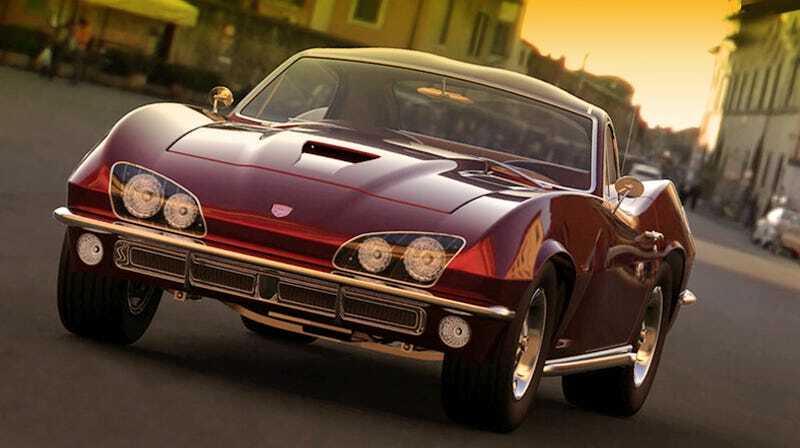 Rafael Reston has penned a Dodge Viper circa 1967 and the result is quite stunning, reminding us of a Dodge that never was and may never be again. Rafael set out to recreate the contemporary Viper Coupe and did so by reinterpreting many of its features as they would have been designed back in the 60's (we'll ignore the actual Cobra from the 1960s it was based on). He started out with research boards depicting classic muscle and sports cars of the late '60s and started sketching around the current Viper chassis, integrating classic design trends with the primitive (yet durable) construction techniques of the era. "The design of the Viper Concept 1967 came from the idea of how the car would had been if it had appeared in the 60's to compete with the Corvette of the time." We see a lot of Corvette in his design, but also a lot of the current Viper styling cues such as the modest double bubble roof, angular headlamps, engine compartment heat vents, and curvaceous rear haunches. It could have been full of win, but Rafael decided to leave out the large displacement V10 that is synonymous with the Viper and instead replaced it with the 440-Magnum that was used in the Challenger R/T. His decision was based on what would have been practical for the time, we say he wimped out. Rafael estimates his 1967 Dodge Viper would sell for around $4,110, making it a worthy competitor to the Chevrolet Corvette. Although we'll never see this thing on the road, we can image what it would have been like and this makes us happy. Somebody who makes video games should by this design off of Raveal.